A founding staff member of the Energy Office at the University of New Hampshire, Morrison is also promoting a number of sustainability initiatives, including “zero carbon planning,” greenhouse gas mitigation, and adaptation planning for New England municipalities. 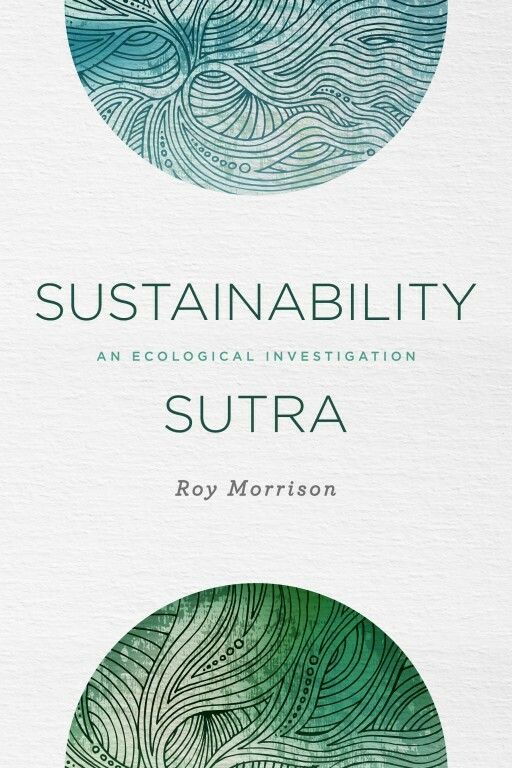 Having previously written books about ecological democracy and renewable energy, Morrison has now authored a book entitled Sustainability Sutra: An Ecological Investigation. In a bleak desert of doom-and-gloom news about climate change, unsustainability and possible civilizational collapse – no small amount of it propagated by this very blogger – Sustainability Sutra is a green oasis of hope and practical suggestions that our country and our civilization can follow to pursue a more durable future, by a leader with no small amount of experience in promoting and implementing those practical suggestions in the real world. “These are challenging, threatening, and opportune times. Climate change and ecological catastrophe is a menace advancing with uncertain pace whose consequences touch all of humanity, all of life. Humanity’s actions are no longer parochial. They are general and potentially irreversible and tragic. What are sutras? They are spiritual and philosophical aphorisms or a collection of aphorisms, as well as a genre of ancient texts in the great Eastern religious faiths of Hinduism, Buddhism and Jainism. Morrison argues that the measure of success in the 21st century is “for economic growth to mean ecological improvement.” He calls for the improvement of natural capital and the simultaneous growth of financial capital. Achieving this would be a feat which ecological economists would certainly laud, but about which they might understandably express some skepticism: to date, the growth of manmade capital has pretty much taken place only at the expense of natural capital. Energy infrastructure, for example, has been built up even as reserves of coal, oil and natural gas are depleted; agricultural equipment and fishing fleets and technology have expanded even as soils were eroded and fish stocks were exhausted. Morrison and other optimists and entrepreneurs like Elon Musk believe that recent and forthcoming advances in lowering the cost and raising the efficiency of renewable wind and solar photovoltaic technologies, in energy storage and in the “smart grid” have rendered a truly sustainable, prosperous society a realistic, promising goal. Let’s hope a new day is dawning on a bright, sustainable energy future. Let us hope they are right. I tend to be skeptical, but I think we have no choice but to work hard to try and make this vision a reality. There is too much at state to be fatalistic and defeatist.